From time to time, most people experience some form of tongue bleeding. This is because the tongue’s location makes it susceptible to injury. A little bleeding, however, is usually nothing to be seriously concerned about. It could be as minor as an accidental bite on the tongue. Everyday actions like brushing or flossing your teeth can also lead to bleeding. But there are, however, other reasons why you might experience tongue bleeding. While most of these causes aren’t serious, some symptoms need to be watched and may require visiting your doctor. Typically, cuts and injuries to the tongue bleed a lot because it has lots of blood vessels. If you brush your tongue vigorously, your taste buds will get broken and that may lead to tongue bleeding. In efforts to keep the teeth clean, most people are tempted to brush them as vigorously as possible. Because of delicate tissues in your tongue (and gums), brushing wrongly could damage them and cause bleeding. Whether you are using an electric or manual toothbrush, go for one that has soft nylon bristles with blunted ends. Most people use the back-and-forth brushing motion, but this can cause irritation and damage not just to your gums but the tongue too. When brushing, ensure that you are using circular, gentle motions to clean the gums, teeth, and tongue. 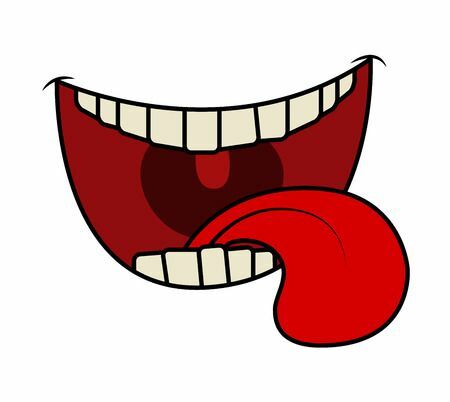 Your tongue is a sensitive body organ that has numerous taste buds connected with receptors located under the tongue. While there are many reasons why you might have a bleeding tongue, some like a hard bite or injury from a sharp food piece are obvious. Others, however, may be less clear and some are medical. Also called canker sores or stomatitis, mouth ulcers are white, small sores that appear in the mouth and on your tongue. Mouth ulcers can develop because of genetic or hormonal changes. Some health conditions like deficiency can also trigger them in vitamin B-12 or inflammatory bowel disease. Although these ulcers can be quite painful, rarely are they a cause for alarm. Irritants like a harsh/hard toothbrush or sharp food can, however, injure the sores and lead to tongue bleeding. A dentist or doctor is likely to make a diagnosis by visually examining your mouth. Normally, mouth ulcers clear up in a couple of weeks requiring no treatment. At times, larger ulcers with circular, red edges can appear and they are more painful and harder to treat. For relief, the pharmacist may recommend over-the-counter lozenges containing corticosteroids, gels, sprays, and antimicrobial mouthwashes. If they persist for over 3 weeks, it could indicate an infection that needs the attention of your doctor. These are caused by excessive yeast in the mouth. The majority of healthy people have yeast in their mouth although only a few go on to develop mouth infections. Although they are fairly common, if left untreated, they can progress to a stage of causing tongue bleeds. They are also known as fungal mouth infections. Those at a higher risk of developing mouth infections include newborns, those undergoing chemotherapy or radiation treatment, those using antibiotics, and people with HIV. For oral ulcers, doctors diagnose infections through visual examination. Your doctor may take a mouth swab to identify the particular germ responsible for your mouth infection. Depending on the extent and type of infection, you can use medicines or creams to treat the oral infection. These conditions, despite the scary sound of their names, are in most cases never cancerous or dangerous. They rarely cause discomfort. They are often found on the neck, head and in the mouth. Some babies are born with them. In rare cases, they can occur because of an injury during pregnancy. Malformations of your blood vessels can cause tongue bleeding, known as hemangiomas. Bleeding from the tongue also can happen because of abnormalities in the lymph system such as cystic hygromas and lymphangiomas. Blood vessels malfunctions and abnormalities in the lymph system are diagnosed through visual examination. The doctor may take a swab for further lab tests. If these conditions are not troublesome or unsightly, they may not require treatment. However, when they do, the doctor may remove them surgically or prescribe steroids. The most commonly found type of tongue cancer is Squamous Cell Carcinoma. This cancer derives its name from the specific cells that get affected. The Squamous Cells make up the lining of your mouth, throat, thyroids, nose, and voice box. Symptoms of SCCA can include a spot, lump or patch on your tongue that doesn’t seem to go away. The main tongue cancer risk factors are HPV virus infection, alcohol consumption, and smoking. Often, bleeding in the mouth or tongue is caused by a low or declining platelet count. This could be among the side effects associated with chemotherapy or radiation treatment. These can also include a dry mouth or sores in the mouth leading to bleeding. Everyday actions brushing or flossing can also cause mouth bleeding when you have this type of cancer. Early tongue cancer detection is important as it prevents the condition from spreading to other body parts. The best way of confirming its presence is through a biopsy. This entails examining a small mouth tissue sample under a microscope. Similar to most cancers, the extent and stage of cancer determine the treatment approach. Radiotherapy, chemotherapy, and surgery are the methods used to treat mouth cancer. Mouth bleeding usually originates from your gums and the tongue. It’s also possible to bleed from inside your cheek and lips, often from accidental bites. If not stopped, bleeding from the floor of your mouth, the tongue, or the cheek can become dangerous. You can prevent tongue and mouth bleeding by being conversant with the risk factors. Although it may not be possible to avoid some of the health conditions associated bleeding of the tongue, you can change some specific habits or lifestyle factors to reduce their exposure risk. Mouth and tongue bleeding risk factors include wrong brushing, bad flossing, poor oral hygiene, poor use of dentures and other dental apparatus. Others include excessive alcohol consumption and excessive smoking. Taking care as you eat will also lessen the likelihood of mouth injuries. I experience bleeding on my tongue floor every day I brush my tongue but I can’t feel any pain or see any strange sign when I use the mirrow. what could be the cause and I need urgent solution please.